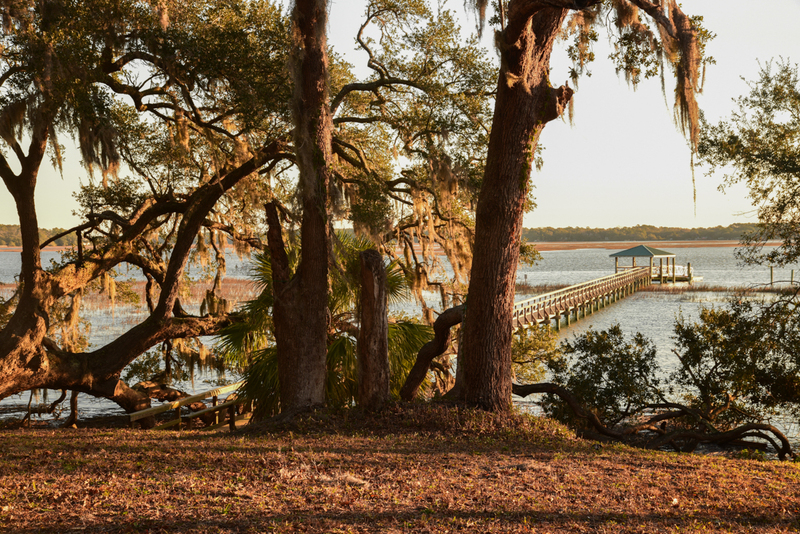 Beaufort SC (in the City) Deep Water Land For Sale Including The Areas Of Burton and Seabrook. Home sites, land and lots that are termed "deep water" means that the property has access to a body of water (creek, river or sound) that would have a minimum of 3 feet at the potential dock location during a normal low tide. Deep water property is the most sought after waterfront property when a buyer wants direct access with a medium size boat via a dock to waterways without water depth restriction. 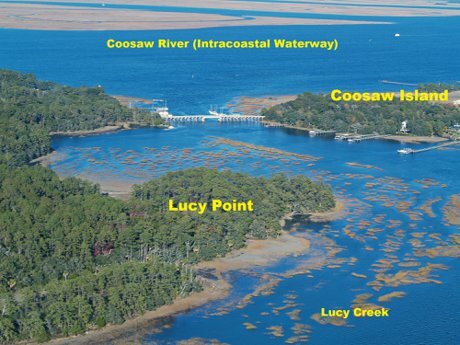 One of the nicest deep water home sites in the Beaufort area. Very high bluff with expansive views across Battery Creek and beyond. 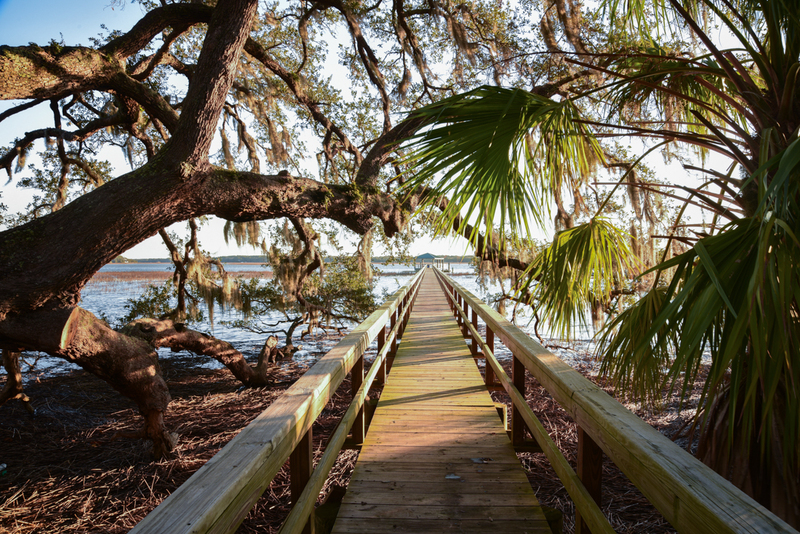 Beautiful large live oaks grace the bank and frame the entrance to the dock walkway. A covered pier head and float is in place with electric power and water installed. A 13,000 lb. boat lift is scheduled to be installed. This home site abuts a large common space on the left side as you face the water. The location is outstanding. Wrights Point community is located just South of the Town Of Port Royal, within walking distance to a major shopping center with a grocery store. 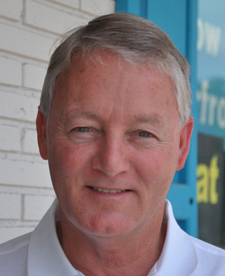 Downtown Beaufort is a 10 minute drive and heading over to Bluffton is just 30 minutes away. Bring your boat and pier furniture to enjoy the river and intracoastal waterway while you make plans to build your home on the water. A beautiful 41 Acre tract with over 4600 feet of waterfront. An incredible estate property suitable for single private ownership or for development. Access to deep water.